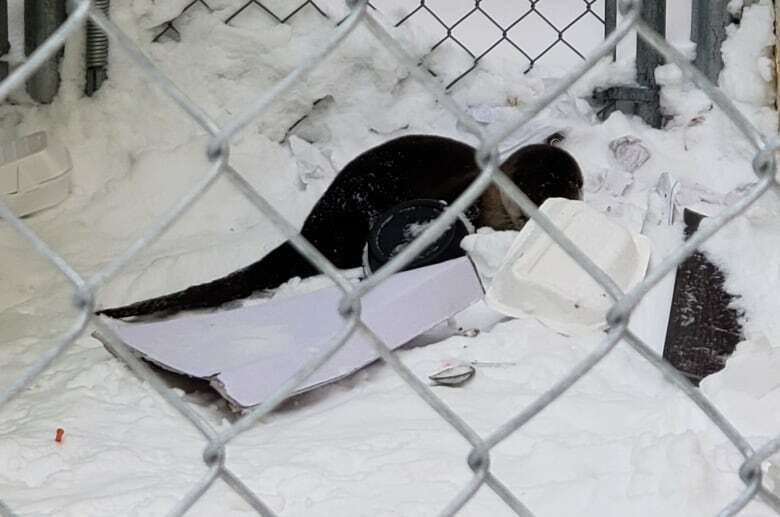 An otter found living under a dumpster in downtown Winnipeg has made a safe return to the wild. 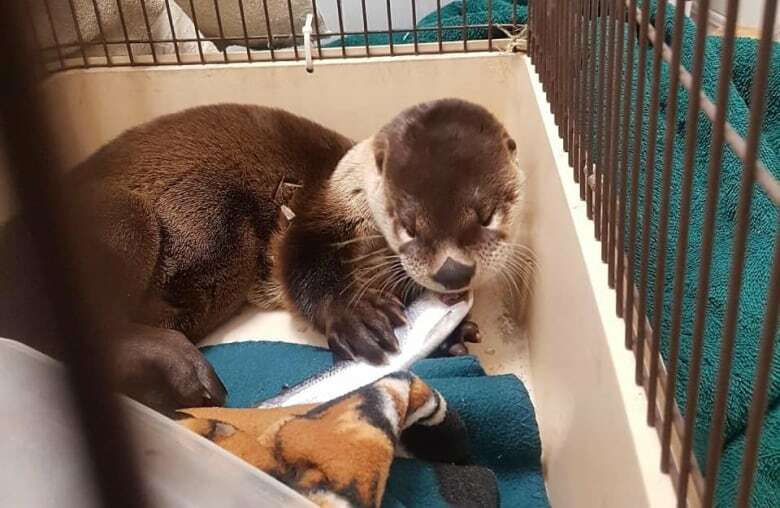 The young male otter was rescued by the Winnipeg Humane Society's emergency response team in February and taken to Wildlife Haven Rehabilitation Centre to recover. The one- to two-year-old otter was likely kicked out by its mother as mating season approached, Wildlife Haven animal care co-ordinator Tiffany Lui said. "Unfortunately, it just got really lost in the city," she said. The otter wasn't injured when it arrived at Wildlife Haven, but it was underweight, dehydrated and weak. It started perking up once the rehabilitation team started feeding it, Lui said. The team would scatter the otter's food and bury it in snow to keep it scavenging like it would in the wild. "He'd find his food and then he'd actually go over to the snow and eat on the snow," Lui said. "It was really cute." The team managed the otter's weight, bringing it from 4 kg to 6 kg, until the river thawed and they could safely return it to the wild. A provincial spokesperson said Manitoba Sustainable Development was consulted on the otter's release and worked with Wildlife Haven to select a suitable location as close to the otter's original habitat as possible. On Monday, they found an ideal spot southeast of Winnipeg — close to water and food sources, and far from humans — and watched as it scampered out of its crate and slid into the water. Wildlife Haven rescues animals across the province, and during busy times answers as many as 50 calls a day. But Lui said the otter's tale captured people's attention in a way they don't usually see. "It's an interesting story," Lui said. "A lot of people didn't know that otters are naturally found in Manitoba, and could be so close to where they live." In the last 35 years, Wildlife Haven has only rescued two or three other otters, Lui said.